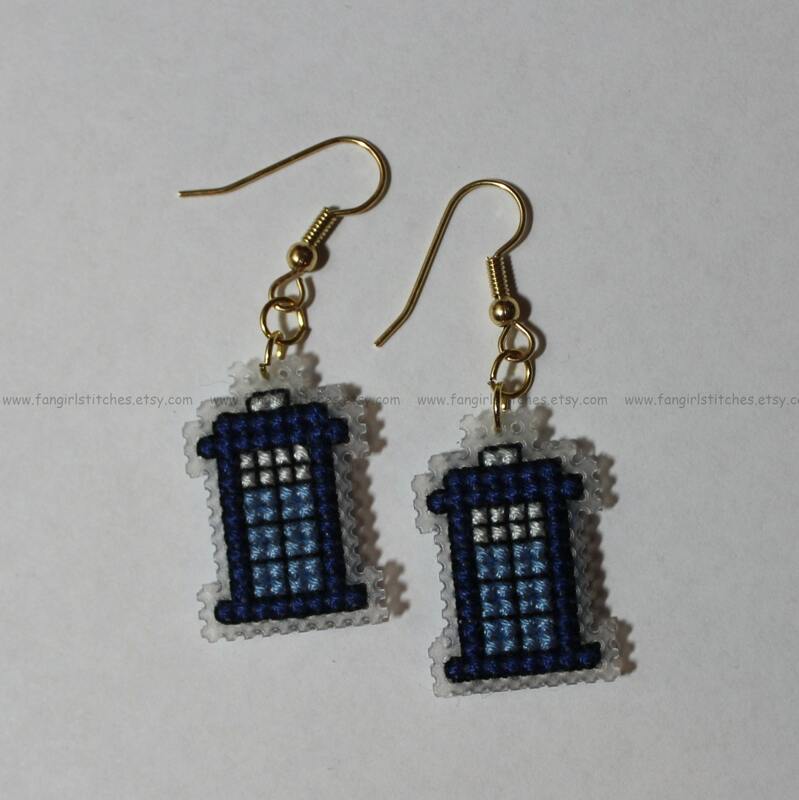 Show your love for the greatest sci-fi show on television with your own pair of Tardis earrings! 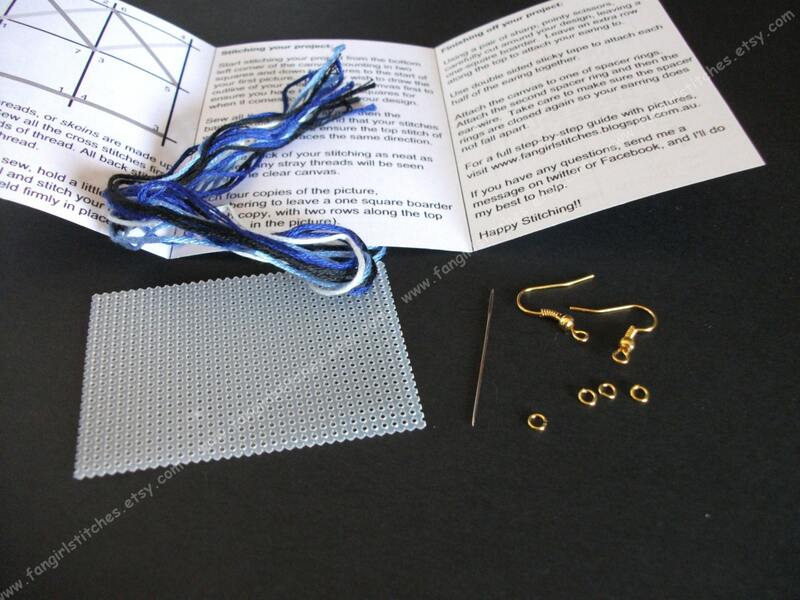 This kit contains everything you need to make your own pair of Tardis earrings, including pattern, thread, needle, jewellery findings, and a detailed step-by-step guide. The project includes whole stitches and backstitch only, and is suitable for beginner stitches - what better way to learn how to stitch? Stitched on plastic canvas, the finished earrings measure 2 x 2.5 cm. My friend thought this was the greatest thing ever! Thank you so much! Dispatched quickly. Great item, well packaged. Absolutely adorable, I love it. Can't wait to start.